The time to start thinking about communication connections is NOW. The costs to connect your home to ATC’s network will be CONSIDERABLY LESS if we can complete our construction alongside that of other utility companies. Utilizing the same open trenches, and/or installing underground conduit BEFORE asphault and sprinkler systems will save you time and money! Don’t be fooled into thinking that homes are going wireless. Even the best wireless systems simply don’t have the bandwidth or reach that a hardwired network will have. Wireless signals suffer from interference from other wireless networks, appliances, radios, and electronic devices. A wired connection is simply more reliable and consistent. 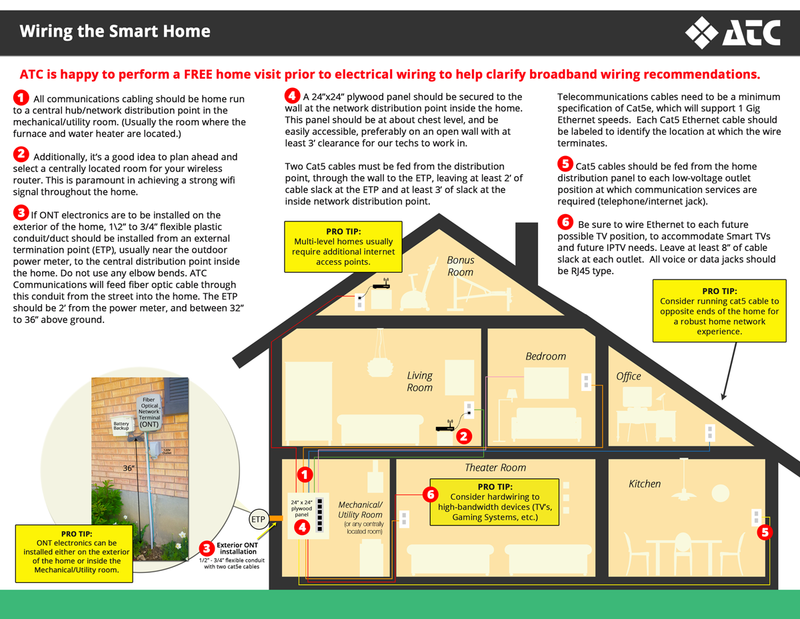 ATC is happy to perform a courtesy home visit prior to electrical wiring to help clarify broadband wiring recommendations. Please contact us to schedule your home visit! 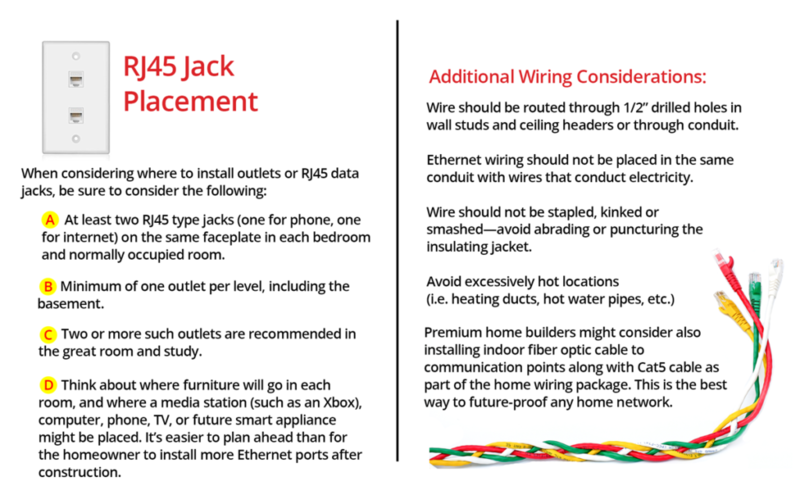 Don’t forget, ATC is happy to perform a courtesy home visit prior to electrical wiring to help clarify broadband wiring recommendations. Please contact us to schedule your home visit!